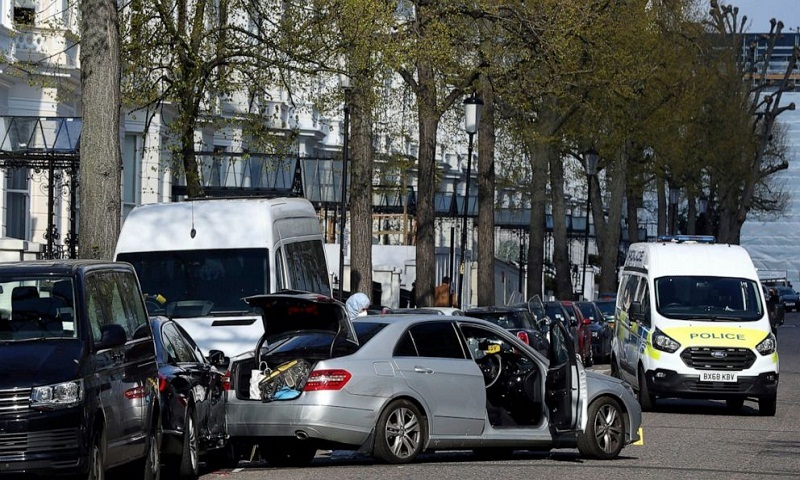 British police fired shots Saturday at a car outside the Ukrainian Embassy in London after it rammed other cars parked in front of the embassy. London's Metropolitan Police said firearms and stun guns were used to stop and detain a suspect who drove a vehicle at a police car when police arrived on the scene. The Ukraine Embassy said its ambassador's official car, which was parked, was rammed twice before police arrived at 9:50 a.m. The embassy said none of its staff was injured. Police said the suspect is a man in his 40s who did not appear to be injured but was taken to a central London hospital for a precautionary check. The suspect has not been identified or charged. Police said the incident is not being treated as related to terrorism. The embassy is located in Holland Park, west London. India election 2019: Can West Bengal's female candidates win?